I believe that creatures embody and show us deep wisdom about the world. In their physical beauty, intricacy and behavior, they are always offering new perspectives and opportunities for joy and gratitude. To see creatures in this new way, sometimes you have to blur your vision a little. You know the way you see a baby, or a child you love, through the eyes of love the minute they appear in your mind or in your presence? With creatures, sometimes it takes some practice to see them this way, especially if you are used to seeing them through ego eyes. For example, tent caterpillars. Here in the west, we generally consider them to be a great nuisance. If you’re a gardener or just want your trees to have leaves, tent caterpillars, in their great abundance and desperate hunger, are easily seen as the enemy. In early spring they hatch from eggs in a silken tent built to catch the morning sun. They “expand” the tent as they grow, and leave during the day to forage, returning to the tent in cooler temperatures and at night. 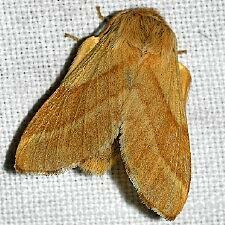 In about a month, the caterpillars find a sheltered spot to weave a cocoon from their bodies, and in about two weeks emerge as a beautiful golden moth. So, in six weeks they go from worm to wings. What else are you seeing as a nuisance that could be a miracle, if you can blur your eyes a little? 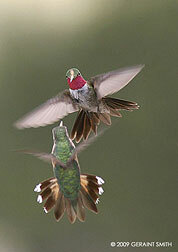 It’s hummingbird season here in the Pacific Northwest. 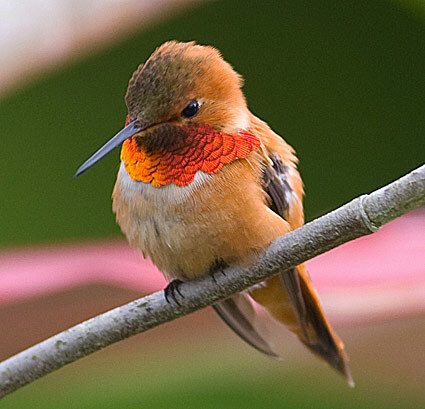 In many cultures, hummingbirds are a symbol of joy, sweetness and balance. They seem like tiny angels whose very existence is a miracle. They go from flower to feeder in a nectar-scented cloud, defying the laws of gravity. 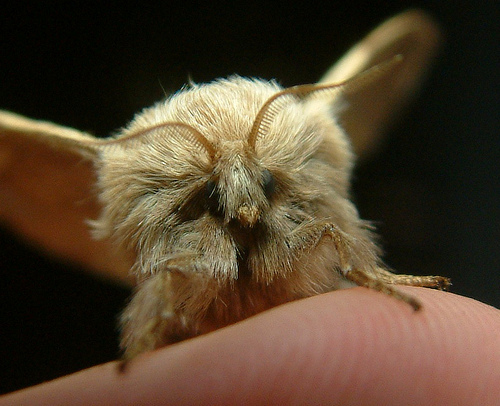 They weigh less than an ounce, and flap their tiny wings 40-80 times per second. They are constantly chasing each other while emitting a helicopter-like buzzing sound and flaring their tail feathers to look bigger. They swoop down with their tiny needle-like beaks poised for a fight. I’ve been tempted to think that their joyful reputation was an oversimplification based on lack of understanding, since clearly they aren’t always in a good mood, let alone an angelic one. And then it occurred to me: why should it be a contradiction to be a joyful warrior? Our culture places these paradigms at opposite ends of a spectrum, implying that joy comes only through peace, or even passivity. And a warrior must be ever-vigilant to trouble, warding off feelings of contentment or rapture with adrenaline. In my experience, however, joy arises when we create the conditions for it. It naturally emerges from a set of circumstances that are often of our own making. For example, when I get enough sleep, eat some protein for breakfast and spend 30 minutes engaged with the natural world in the morning, I tend toward Joy. If I stay up too late watching Breaking Bad, have a cherry pop-tart for breakfast and start my workday in my pajamas, I tend toward stress, the opposite of Joy. It takes work and discipline to create the conditions for joy. A tiny creature that migrates about 5,000 miles each year must be very strong and vigilant to stay aloft and fed. So don’t you deserve the right to tend to your own basic needs for balance? Your existence is just as miraculous as a hummingbird’s. 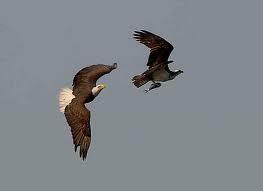 In honor of the Independence Day holiday, I wanted to share this very brief recording of me describing an amazing display of power and persistence by our national bird, the Bald Eagle, and an Osprey. We are all have the potential for an astonishing array of behavior. What will you choose today?